Leeds Big Sleepover, the city's largest familiarisation trip, will take place from 8-10 October. Leeds Hotels and Venues Association (LHVA) is working with Conference Leeds on the event, which this year will focus on the city’s arts and culture offering. The three-day programme is set to include the launch reception of British Art Show 8 at Leeds Art Gallery, the first time the show has been hosted in Leeds for nearly 25 years. 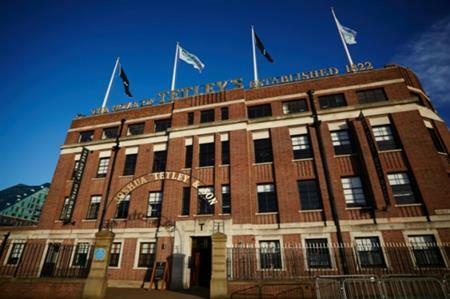 The programme will also include a gala dinner at Royal Armouries International, guided tours of Light Night Leeds, a showcase of Leeds’ hotels and venues at The Tetley and behind the scenes tours at a number of cultural and sporting venues. Gordon Jackson, chairman of LHVA and general manager of Thorpe Park Hotel & Spa said: "Following the tremendous success of the Leeds Big Sleepover in 2013, I am delighted to see it return in 2015." Leeds BID, which is working to raise the profile of the city from both a consumer and corporate perspective, will be supporting LHVA and Conference Leeds on a number of hosted buyer programmes including Leeds Big Sleepover. Jennifer Young, associate director of Visitor Economy at Leeds City Council, said: "This is a really exciting time for us and we are thrilled to be working with LHVA on Leeds Big Sleepover. Working in partnership with an association like LHVA is a unique experience and we hope to give delegates the chance to see how the multi-venue approach we take allows us to shape bespoke conferences and events to suit and enrich the delegate experience."